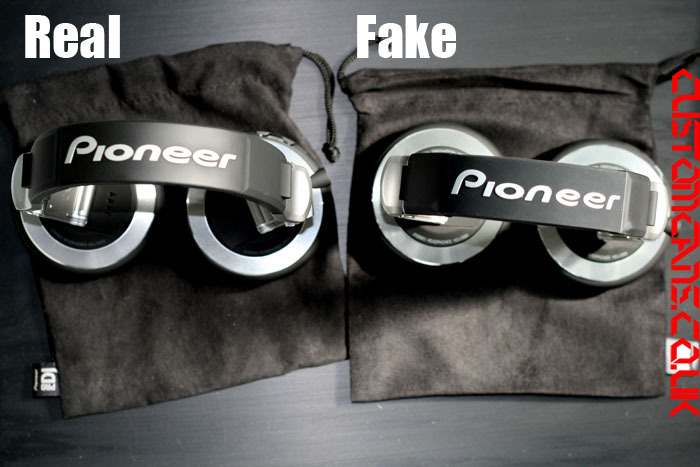 I have herd reports that the logo on the headband is not quite right – if they wernt side by side it would be difficult to tell on these new ones but the N is a bit wonky and the finish is not as even on the fake ones – the real ones have a perfectly even shade of grey where as the fakes have lighter and darker patches around the edges of the letters. 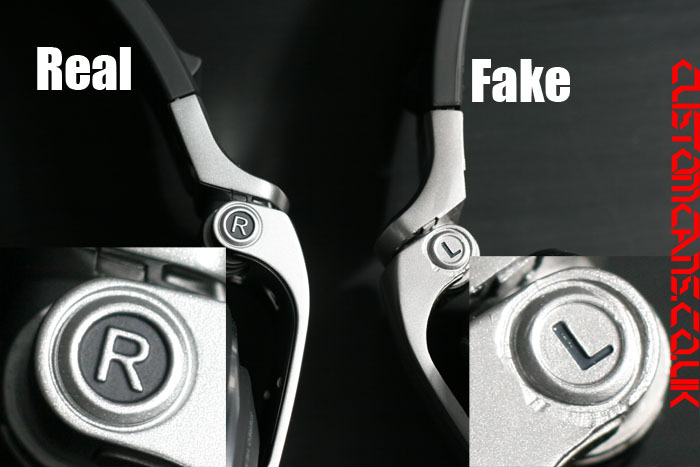 One thing you will spot is marks all over the hinges – this is more than likely where they have damaged the originals while pulling them apart to recast them. 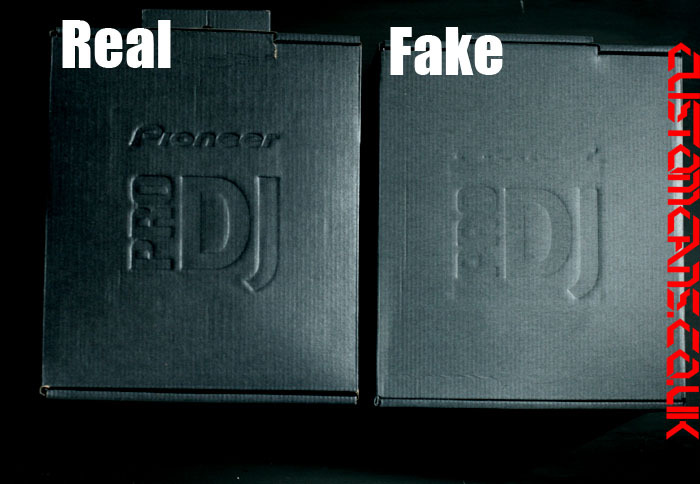 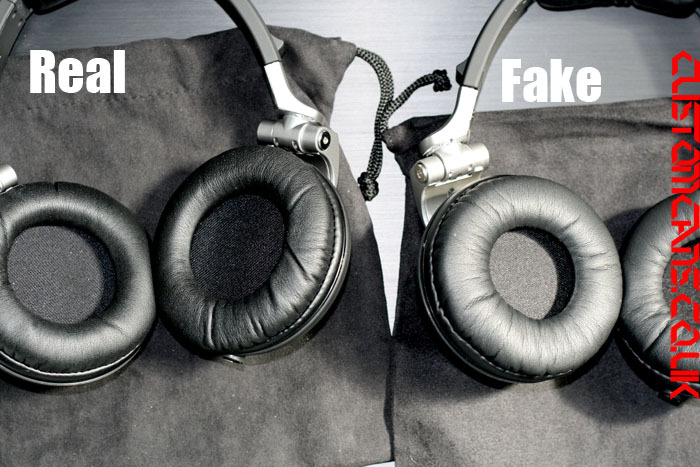 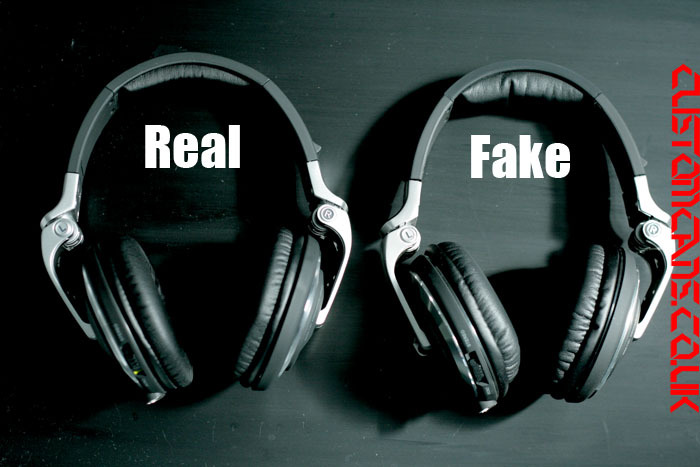 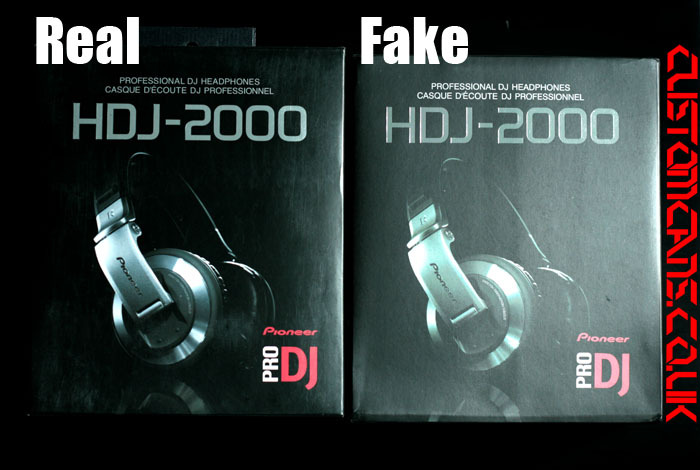 The earpads are different as well as the headband pad – they are fatter on the fakes. 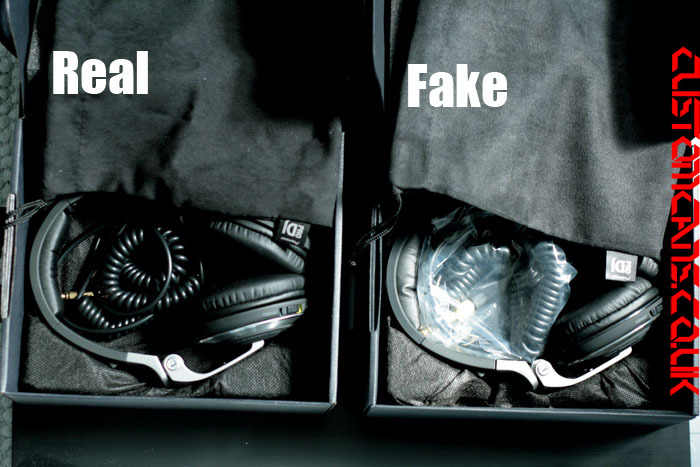 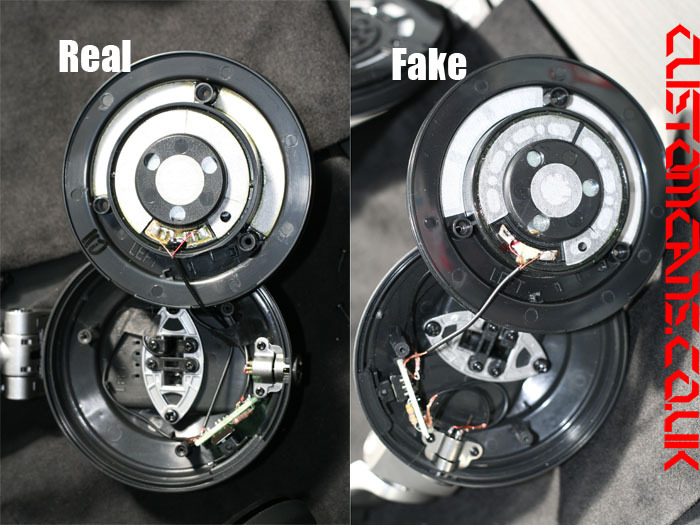 This surprises me a bit because I would have thought the pads would have been the easiest part to fake. 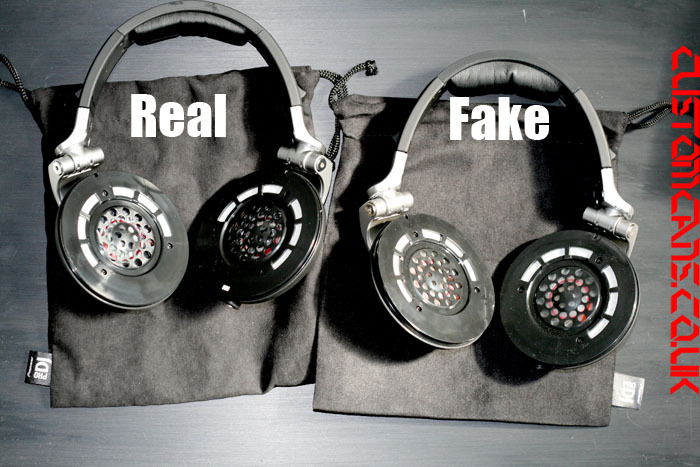 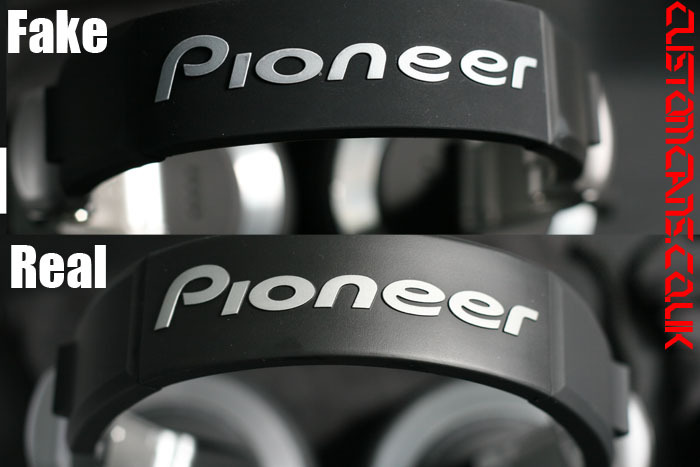 Copyright © 2009-2019 CustomCans.co.uk Custom Headphone Blog All rights reserved.